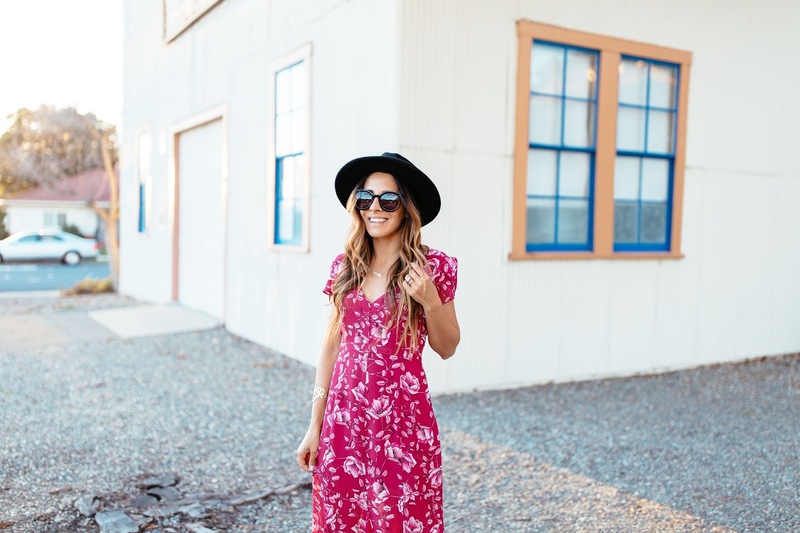 March is here and with that comes beautiful weather (at least in Northern California), iced coffees, and my favorite, spring fashion! March is here and with that comes beautiful weather (at least in Northern California), iced coffees, and my favorite, spring fashion! 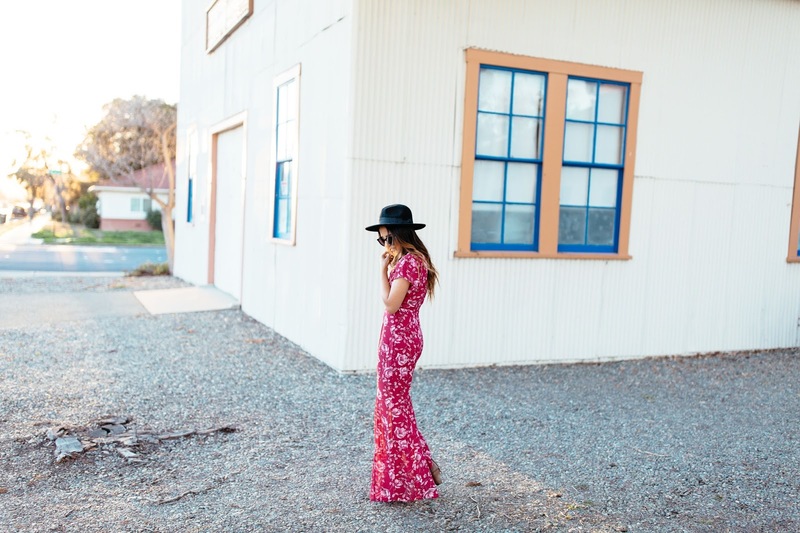 And nothing says "spring" like a bright floral maxi dress. I scored this a few months back on double clearance at Nordstrom Rack. I needed a little height, so I paired it with my favorite fringe booties from Marshalls and a simple felt hat. I did a little spring shopping and can't wait to share more looks with you. I'm still on the hunt for a few more items for my spring/summer wardrobe. As I mentioned in my last post, I've been focusing more on buying investment items and classic pieces, so I created a little list of my spring must-haves : distressed shorts, cold shoulder blouses, a white blazer, espadrilles, colorful high-neck bikini, and the perfect little white dress. I'll be sharing my finds here and on Instagram @FrancescaPenko as well.